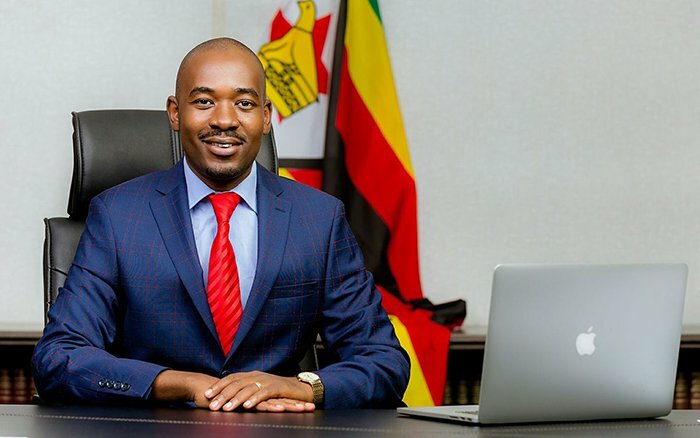 Reports from Zimbabwe indicate that the country’s main opposition leader Mr. Nelson Chamisa met former president Robert Mugabe and his wife Grace last Friday in Dubai, the United Arab Emirates where they agreed on a 20-member cabinet team if he wins the elections on July 30. According to the state owned Herald, the MDC Alliance leader boasted over the weekend at a rally in Mvurwi in Mashonaland Central Province that he was confident of getting at least one vote from Mr Mugabe even if the whole country decided not to vote for him in the next election. The Herald said sources indicated that Mr. Chamisa met Mr. Mugabe in Dubai after the former president flew from Singapore where he is reportedly receiving health treatment for an undisclosed ailment. The source also said that Mr. Mugabe pledged $2 million for Mr. Chamisa’s campaign. The proposed cabinet list will see Mrs. Mugabe appointed as the country’s vice president if at all Mr. Chemisa wins the impending election. However, Mr Chamisa’s spokesperson, Dr Nkululeko Sibanda, yesterday dismissed the claims. “People are clutching at straws,” he said. “I have seen the list with some people whom we do not even know. The next thing that they will say is that Chamisa met an angel. Mr Mugabe resigned last November after close to four decades in office.